A library near Tokyo is set to become the first in Japan to employ palm-vein biometrics as a substitute for conventional library cards, system vendor Fujitsu said last week. The company’s palm-vein security system will be used in a new library that is due to open in Naka City, Ibaraki Prefecture, in October 2006. Fujitsu’s palm-vein system shines an infrared light on the user’s hand and records the vein pattern with a camera. It relies on the unique pattern of veins inside each person’s hand to identify users. The system offers a higher level of security than other biometric technologies such as voice print, facial recognition, fingerprint recognition and iris scan, according to Fujitsu. It has already been adopted by several Japanese banks as a biometric replacement to four-digit PINs for ATM transactions. 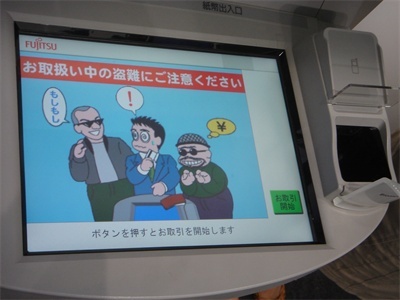 Among these is The Bank of Tokyo Mitsubishi, which is Japan’s third-largest retail bank and has been installing the system on its ATMs since October 2004. Citizens using the new library will have the choice of palm-vein authentication or a smartcard to use library services and check out books and other materials, said Fujitsu.